Trummenäs Golf Club is situated just 10 kilometres east of Karlskrona in the area known as Ramdala, a World Heritage site, on Sweden’s southern coast with views over the Baltic Sea. The area is renowned as a summer vacation destination and features many campsites and lodgings along the coast. Offering golf on two courses, the club’s 18-hole, par 72, 5,900 metre course, designed by Ingmar Eriksson and opened in 1992, runs through parkland and along the coast with the 9-hole course providing golf on a pay-and-play basis. Every hole has a view of the sea. Jan-Erik Andersson is the Club Manager and has been in the role since 2009. He holds membership number two at the club and has also acted as competitions chairman. Before taking early retirement he was Chief of Logistics at DSV, the Danish company specialising in road, air, sea and logistics transport services throughout the world. 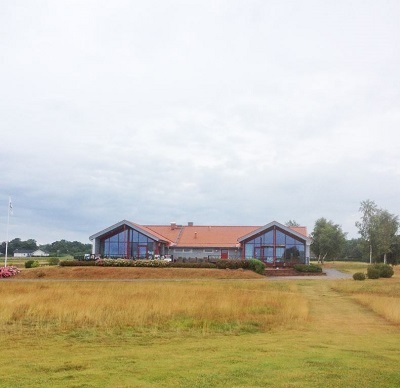 For the past two years he has also been the chairman of the Swedish Golf Union’s Blenkinge area, one of the 21 districts administered by the SGU. “The club has been in existence since 1989 when it began life as a 9-hole facility,” he said. 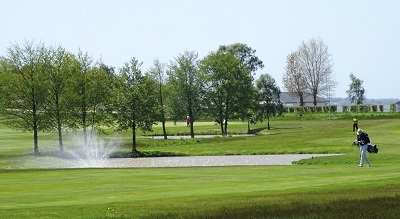 “We opened the 18-hole course in 1992 and our aim is to be the premier golf club in this area. 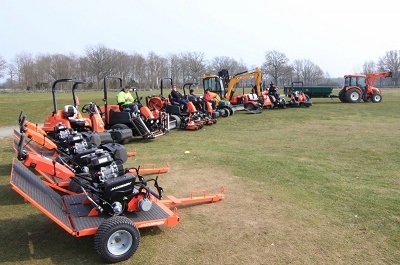 To achieve we realised that we needed to raise the quality of the course and one of our immediate concerns was our aging fleet of course maintenance equipment. “We are also committed to raising standards right across the business. We have 1,200 members and they expect the highest levels of customer service and that’s why we make a significant investment in staff training. We make a concerted effort to encourage new members and our recent ‘Introduction to Golf’ programme attracted 170 prospective new golfers, of which 70 stayed on and became club members. “Being located in a major vacation area we attract many visitors in the summer months. We have a campsite adjacent to the course and some 500 summer residences within a few kilometres. As mentioned earlier, one the club’s major concerns in its quest to be the number one in the area was their ageing fleet of course maintenance equipment. Frederik Karlsson is the Course Manager and a graduate from the Swedish University of Agricultural Science. He is now in his third season at the club having previously worked at Lagans Golf Club, 60 kilometres south of Jönköping, for five years and prior to that for a year at Ringenäs Golf Club near Halmstad. “The problem with our ageing fleet was obvious; we were spending disproportionate amounts of money on repairs. I have a dedicated mechanic who did a brilliant job keeping everything working, but to give you some idea of his workload back then, I allocated him an assistant from the greenkeeping team and he spent virtually all year in the workshop! The area that the courses occupy was previously farmland with an underlying soil profile of clay. The greens are USGA specification and the grass is mainly Poa Annua. This presents a challenge for Frederik and his team, but they work with it, ensuring that it doesn’t produce seed heads, especially during competitions. “My philosophy for maintaining the greens closely follows the ‘Disturbance Theory’, Frederik added. “Annual meadow grass (poa) thrives when it is disturbed, while the finer grasses, bents and fescues, flourish in a more settled environment. If we can minimise the disturbance caused by our management practices, then we can control the poa. 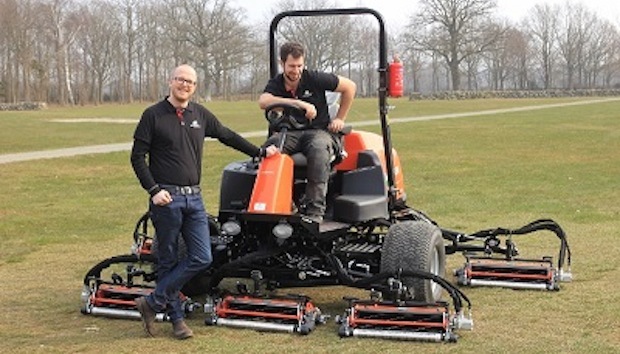 “We hand mow our greens at 3 mm – 4 mm, depending on the conditions, with Jacobsen Eclipse 122 mowers four days a week and on alternate days we roll them. We don’t have any compaction problems so we don’t do any deep aeration, but we do micro tine little and often. I like the Eclipse mowers; the quality of cut is first-class and the ability to change the number of cuts per metre is a major step forward. Greenkeeping in Scandinavia has restrictions that might seem penal in other parts of Europe. The use of chemicals is tightly controlled by law, so that means that the maintenance regime has to be smarter. Chemical applications are only permissible prior to snow cover. Although growth inhibitors aren’t banned in Sweden, Karlsson prefers not to use them. “We are working with the environment here, not trying to control it unnecessarily,” he continued. “We are working with the Swedish Environment Agency to increase diversity and consult with them on a regular basis. We are responsible for preserving all the stone walls around the site and our aim is to be working toward GEO certification. “We have an excellent rapport with our members and that’s a result of our business ethos of providing an excellent customer experience and to the way we communicate with them. We keep them fully informed of what we are doing out on the course and, most importantly, why we are doing it.